Kenedna will make her Sydney debut at the highest level in the G1 Coolmore Legacy at Randwick. After a flashing third in her most recent start, Kenedna is set for her first Sydney appearance in the Group One Coolmore Legacy Stakes at Randwick. Kenedna is one of three runners for co-trainers Ciaron Maher and David Eustace on the second day of The Championships at Randwick on Saturday, with Yogi considered a genuine Sydney Cup chance while Mask Of Time is the outsider of the field lining up against Winx in the Queen Elizabeth Stakes. Five-year-old Kenedna won the Group Two Matriarch Stakes (2000m) for mares at the end of her spring campaign when trained by the now-disqualified Darren Weir. In her second start for her new trainers, she came from last to run third in the recent Group Two Sunline Stakes (1600m) at The Valley. Her three Group One attempts have yet to net a win but she was narrowly beaten in the 2017 Australasian Oaks and fourth in the Queensland Oaks. 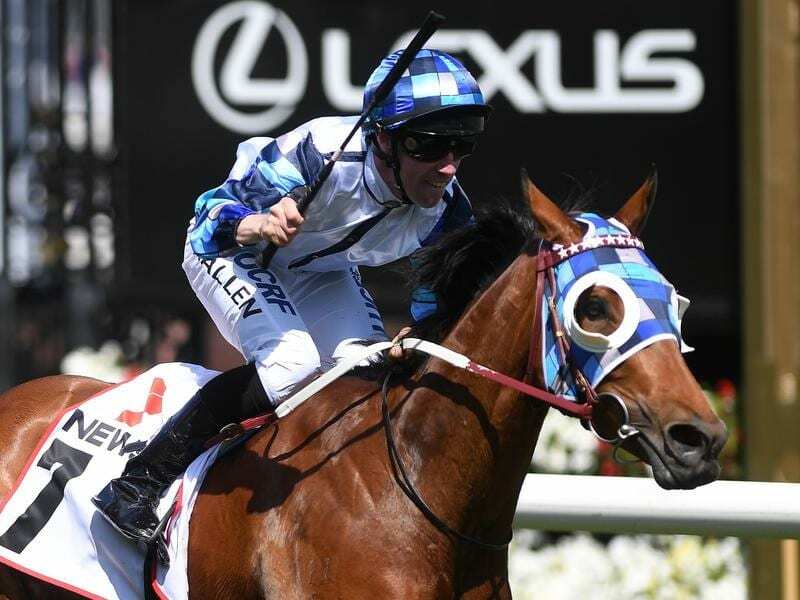 “It was a massive run last start and she worked great at Caulfield on Tuesday morning,” Eustace said. “She is in as good an order as we can get the horse. “We haven’t had her a long time but I think she’s going to hit peak form third-up. Yogi, another former Weir-trained horse, won the Listed Sandown Cup over 3200m last spring and is one of a handful of horses in the Sydney Cup to have won over the distance. “He’s a thorough stayer which you’re going to need to be in that race,” Eustace said. “It’s probably going to be a full field and a bit of a stamina test of course, so at least he’s got that on his side. Yogi’s lead-up form in a couple of Group One weight-for-age races has pleased his trainers especially as Eustace said, the stayer hated the heavy ground when fifth in the Tancred Stakes last start.